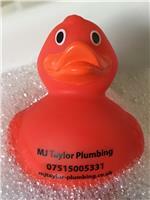 M J Taylor Plumbing Solutions Ltd - Central Heating Engineer, Plumber based in Prestbury, Gloucestershire. High quality heating and plumbing works, Gas registered installers holding all qualifications required to carry out the services we advertise. Our engineers are fully insured. - All work guaranteed for 12 months some boiler warranties up to 10 years!